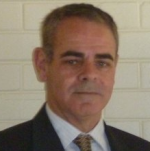 Hadyn R Green APM is the owner of Forensic Evidence Review (Australia) and Adjunct Associate Professor at The University of Western Australia, where he teaches the post-graduate unit ‘Forensic Science and Policing’. Hadyn has been a consultant investigator at the Office of Police Integrity in Victoria, investigating alleged police misconduct, and served in the police force for 39 years (achieving the rank of Superintendent), during which he worked in general policing, traffic enforcement, legal advising, legislative reform, investigations, and policy development. He had extensive involvement in forensic issues at State, National and International levels and, for his efforts in forensic science and disaster victim identification, Hadyn was awarded the Australian Police Medal in the 2010 Australia Day Honours List. He has also been awarded the National Service Medal, the Western Australia Police Medal, and the Overseas Service Medal and is currently writing a text book on forensic science matters.